Need an extra skincare boost? Add a Booster to tailor your treatment with an award-winning super serum to address specific skin concerns. DermaBuilder- Minimizes signs of aging and recharges skin with a patented combination of peptides. Experience a customized facial treatment and emerge feeling refreshed and glowing. All treatments begin with a skin analysis by our licensed esthetic professionals and thorough consultation prior to your 30, 60 or 75 minute treatment. Spa wraps are provided for your comfort during your service. We offer many of the skincare products used in our facial treatments for your use at home. Our skincare professionals will be happy to recommend the correct homecare so you can maintain your skin’s appearance after your leave the spa. We suggest you arrive 15 minutes prior to your scheduled reservation to complete our consultation questionnaire form or simply relax in our lounge. • Standing appointments to ensure preferred date, time and esthetician. 30 minutes $55* - Customized Express facial focused on correction. This facial is for existing guests only upon recommendation by your esthetician. 60 minutes $85 - Customized facial with 20 minutes of intensive work on one area of focus. 75 minutes $115 - Customized facial with 30 minutes of intensive work on one area of focus or additional work on a second focus. The Dual Exfoliation Peel is Aveda's latest advancement in non-invasive, skin-renewing treatments. This treatment combines Aveda's naturally derived mechanical and biochemical exfoliation methods into one powerful service that transforms and rejuvenates the skin through the process of dual exfoliation. The treatment delivers immediate, visible results in improved skin texture and radiance, smoothed appearance of fine, dry lines, and refined pores, revealing fresher, younger looking skin. In a clinical study, the Dual Exfoliation Peel achieved beter results than a combined microdermabrasion/30% glycolic peel treatment in both immediate smoothness and and radiance plus significantly better results in smoothness, radiance and the appearance of skin tone one week later. Go beyond microdermabrasion, and energize the look of your skin with a professional facial treatment that helps smooth skin texture and reduce the apperance of lines, wrinkles and pore size while significantly increasing radiance - all with less visible redness and irritation than a microdermabrasion procedure. Produces best results when performed in a series of treatments. Advancing the science of chemical peels, this professional facial treatment helps retexturize skin; smooth fine, dry lines; refine the look of pores; and restore radiance. Safe for acneic skin conditions, the Perfect Plant Peel can be performed as a standalone treatment or added to any other facial treatment any time skin needs the exfoliation and radiance benefits of a 30% glycolic peel procedure with less of the associated redness and irritation. For best results a series of 4 treatments recommended. For all skin types. Specialty masques are customized for your specific skin care needs & can be added on to most facial services. See your eyes come alive with the vital energy of plants & massage movements inspired by ancient healing. Botanical KineticsTM Energizing Eye Crème revitalizes eyes by helping diminish dark circles & reduce puffiness while gentle activation of specific pressure points helps to energize the look of skin around your eyes. Founded by Dr. Howard Murad, M.D., FAAD., Murad is a premier "clinical skincare" brand due to proven results. Dr. Murad is a Board-Certified Dermatologist Fellow of the American Academy of Dermatology (FAAD) Pharmacist, an Associate Clinical Professor of Medicine at the Geffen School of Medicine, UCLA and is the holder of 18 dermatology-related patents. He has changed how the world sees skincare through his pioneering research and clinical studies into the Science of Cellular Water, now recognized as the world's most comprehensive approach to understanding health and aging. Dr. Murad is considered a leading visionary in the fields of skincare and dermatology. Our Murad services and homecare products are designed to make you feel and look your best at every age. 60 minutes - $115 In addition, your esthetician will also address a secondary concern, such as dryness, sensitivity or loss of firmness. 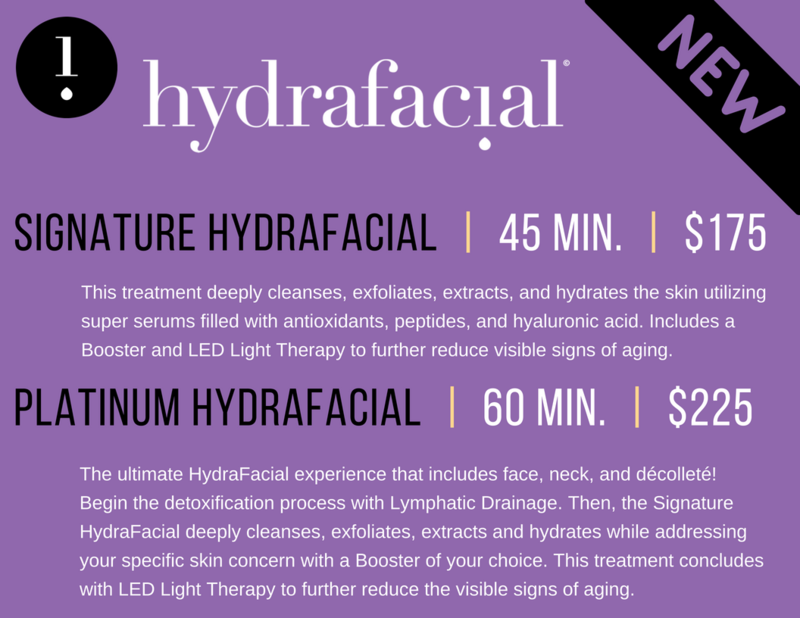 60 minutes - $115 In addition, your esthetician will also address a secondary concern, such as dryness, sensitivity, or fine lines and wrinkles. 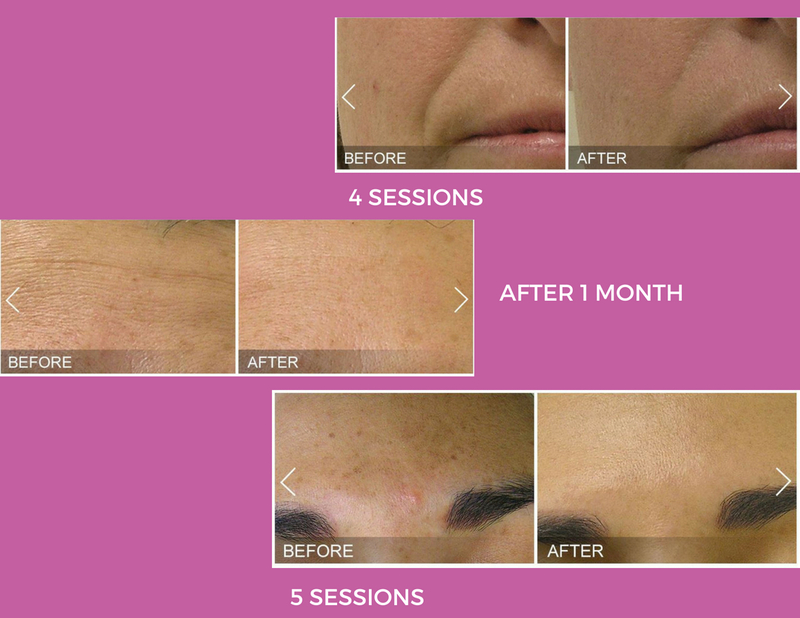 Dramatically reduce the appearance of lines and wrinkles with this powerful resurfacing facial. This anti-aging facial is designed to reveal a softer and smoother complexion as it revitalizes your skin. The right level of glycolic acid will be customized to address your unique skin concerns and the depth of your lines and wrinkles. In addition, your esthetician will also address a secondary concern, such as dryness, sensitivity, or loss of firmness. Skin will look smoother, plumper and more youthful. Fine lines and wrinkles ease as concentrated Glycolic Acid exfoliates away dead skin cells. A unique patented blend of antioxidants, anti-inflammatories and hydrators soothes and revitalizes skin to reveal a softer smoother complexion. When performed in a series, your esthetician will gradually increase the strength of each treatment, progressively improving skins texture, tone and youthfulness with each facial. Ideal for all skin types. For optimal results with your murad facial, choose from one of the following advanced treatment masques. Allow an additional 15 minutes.